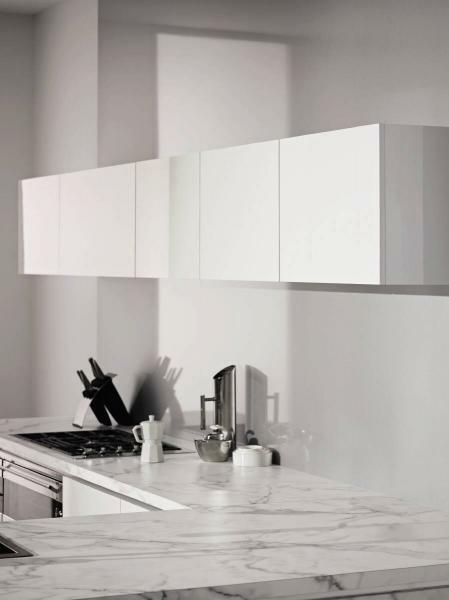 Upper and lower cupboard doors and panels in Laminex CrystalGloss Seductive Limba. Benchtop in Laminex Freestyle Sea Salt. Splashback in Argente Perle and the kick rail is Laminex Innovations Brushed Platinum. 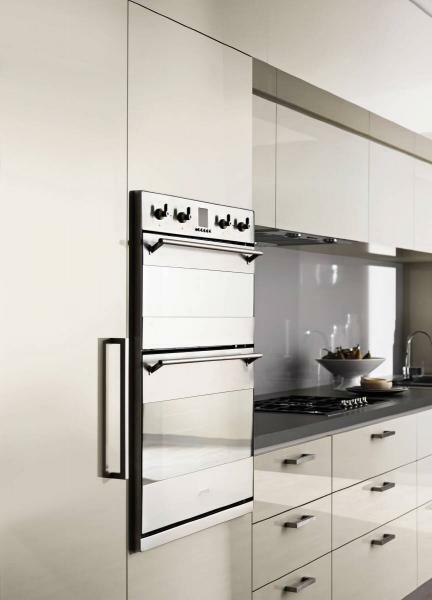 Vertical cupboards in Laminex CrystalGloss Crystal Anthracite.